Going in for a job interview can be rough! You might be wondering: What do I wear? What do I bring? What are they going to ask me? You can settle some of these nerves by knowing ahead of time how to answer common interview questions. 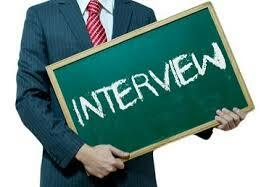 Not all of these questions will be asked; every interview will be different. Some interviews you will walk out of feeling great, and some may not go how you want them to. Even if you don’t think it went well, you might be surprised by the results. Being prepared can help the interviewer see past your nerves or anxiety. Prepare yourself a little more by checking out this article from The Balance Careers to get an idea of what your interviewer may ask you.